Add the eggs and blend well. Sift the flour, cream of tartar, baking soda, salt and cocoa together. Gradually add to the sugar mixture until well blended. In a small bowl mix together the cinnamon and sugar. 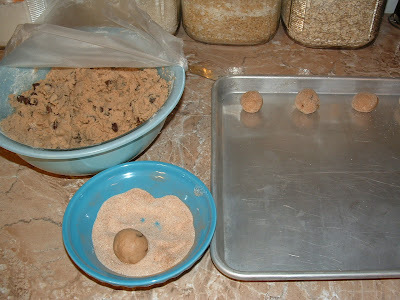 Roll dough into 1 inch balls and coat in cinnamon sugar mixture. Place 2 inches apart on ungreased cookie sheets. Cool 2 minutes on pan and then transfer to wire rack to cool. 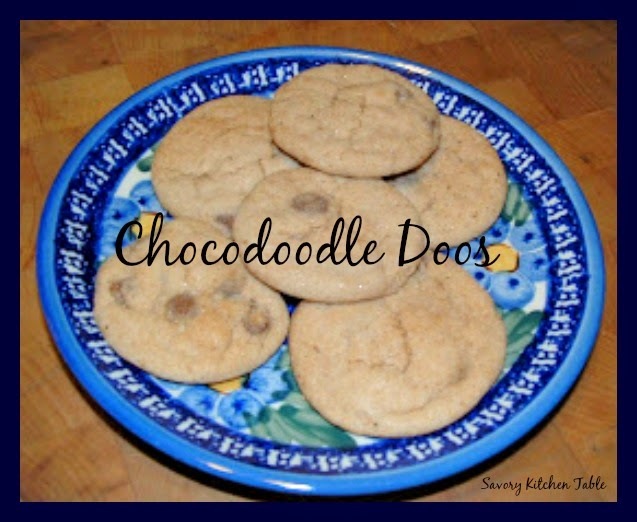 *A fun substitution is to make Peanut Butter Chocadoodle Doos. Just substitute half the butter with JIF Creamy peanut butter.